That’s what Cherrybend Pheasant Farm co-owner Beth Ellis says is the end goal for the annual Operation Cherrybend. The event began in 2015 after country singer Jared Ashley visited Cherrybend on a hunt with kids with cancer in 2013. 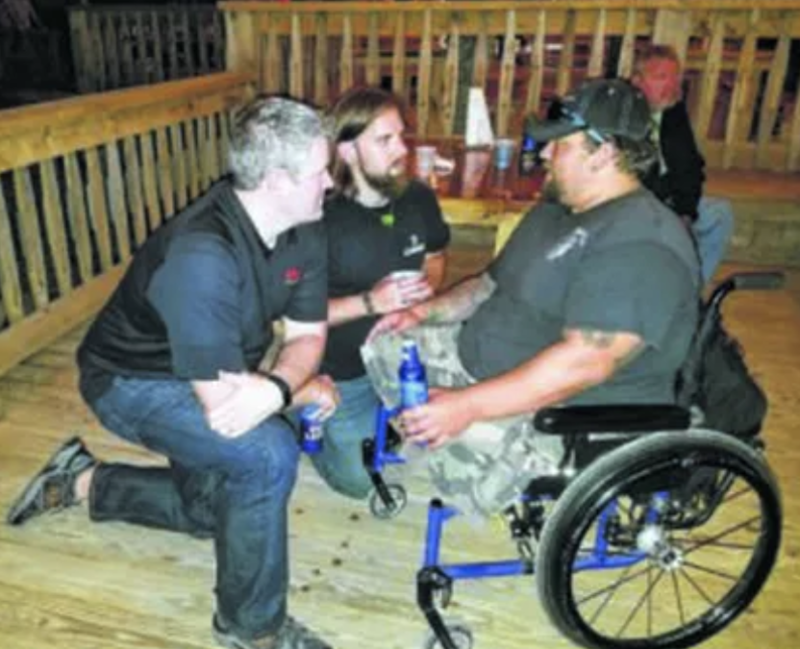 He was inspired to make it an event with his non-profit organization, the Flight Deck Veterans Group, which brings awareness to everyday struggles that veterans face. According to Ellis, they decided to include the community involved in some of the events. “I think civilians struggle to figure how they can help. Everybody is different and has different issues daily. Sometimes we just need to say we still care even after the uniform comes off,” she said. While Operation Cherrybend started off small with just five veterans, it continues to grow each year. Each veteran is recommended to them and is selected through a vetting process, said Ellis. In the years since it started, the vets and participants have been treated to concerts from some big name musicians including Lonestar, John Michael Montgomery, and on Saturday night Joe Diffie as well as Jared Ashley and others will perform at the Murphy Theatre in not only a musical event, but a patriotic one with the focus on America’s veterans.